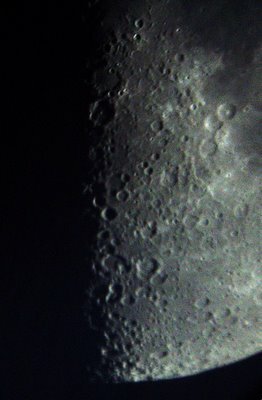 This was the southern limb of the moon at 8:33 pm, earlier tonight, at a magnification of 180. 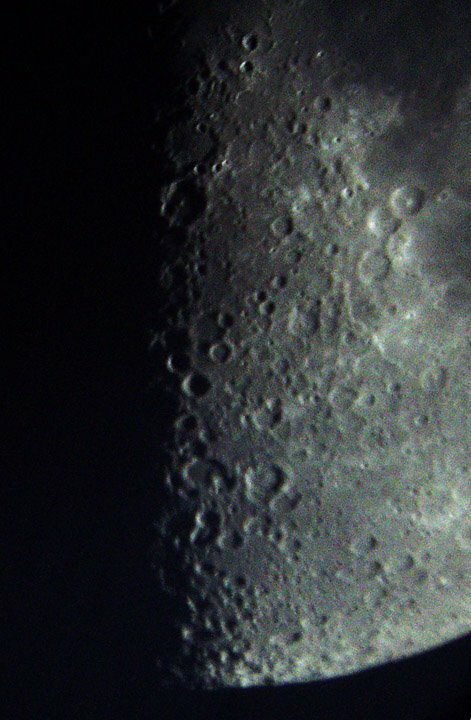 The moon's face was 53% illuminated. The crater with the most conspicuous mountain right in its middle, about a quarter of the way down from the top of the photo and almost at the terminator, is Albategnius. Steep slopes riddled with craterlets. Albategius B to the North. Large flat floor. White spot to the West. Central mountain. Name by Langrenus: Ferdinandi III Imp. Rom.